The Nando Peretti Foundation together with Conservation International has co-funded a project aimed at establishing a chelonian survival network for imperiled Asian turtles. Asian species of freshwater turtles and tortoises account for over one third of the world's chelonian biodiversity. However, the entire Asian assemblage of turtles is under threat of extinction due to unsustainable exploitation in the food market and as traditional medicine ingredient. Experts agree that some species will disappear within 2-5 years. 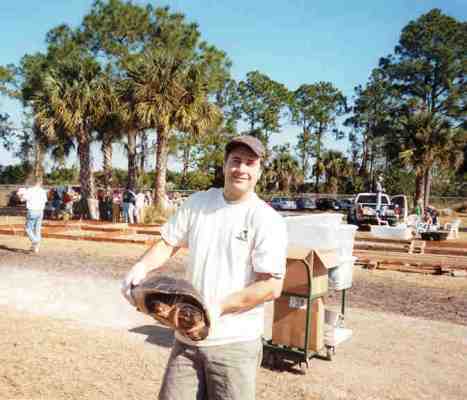 The project consists in creating a facility near Boston (Massachusetts, USA) where turtles and tortoises will be given the necessary medical cares before being released in the wild. Furthermore, with this funding the fish hatchery at the Columbia Zoo in South Carolina, the Tortoise Reserve in North Carolina as well as the Cuc Phong National Park in Vietnam will be able to expand their capabilities, to house more turtles, and to set up an information network which connects them all.